I don’t think anyone - let alone developer CD Projekt Red - ever really expected Gwent to become as popular as became. Initially introduced as a side-activity in The Witcher 3: Wild Hunt, the mini game quickly found a following of its own. Their appetite whet, fans wanted more. And so, sure enough, the developer began to grow Gwent out into its own experience. And the road that started with the physical set of Gwent cards that came bundled in with the downloadable expansions for Wild Hunt has now arrived at its final destination. The first half of this came in the form of a Hearthstone-style multiplayer free-to-play card battler, simply called Gwent. The second half of the equation is Thronebreaker - The Witcher Tales - a fully voice-acted single player adventure set in the Witcher universe where battles are fought with cards rather than swords. And despite that unorthodox setup, Thronebreaker emerges as far more than a novelty. In fact, it might just be one of the best strategy games in recent memory this side of the 4X subgenre. Set a number of decades before The Witcher games (and in parallel with some of the original Polish novels), Thronebreaker - The Witcher Tales sees you take up the mantle of Queen Meve. Meve is the monarch of Lyria and Rivia, two regions that have been more oft-mentioned than actually seen in The Witcher games to date. If you’re hoping for a prequel or continuation of Geralt’s story here, you won’t find it - though the White Wolf does make an appearance in a late-game sequence that fans of Andrzej Sapkowski’s original novels will recognise. 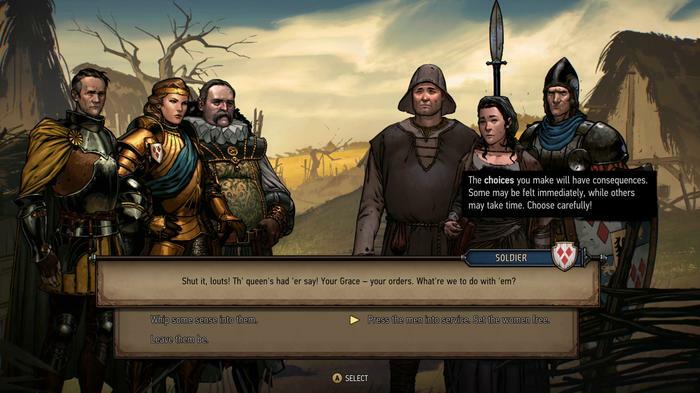 Cameos aside, Thronebreaker is Meve’s story - and a fully-featured one at that. One of the key differences here between the Gwent games you’ll be playing here and those you played in the Witcher 3 is that these are more of a metaphor for the military conflicts that Meve fights in over the course of the game than a literal card game that the characters in the world play. Each player takes turns to play a single card from their hand - or pass and end their turn. Different cards have different values. Some have special abilities or characteristics that interact in fun ways. Whoever has the highest total value on the board after both players hit pass wins the round. The goal is to win two of the three rounds, so you have to pace yourself. Burn all your good cards up-front and you’ll struggle in later bouts. 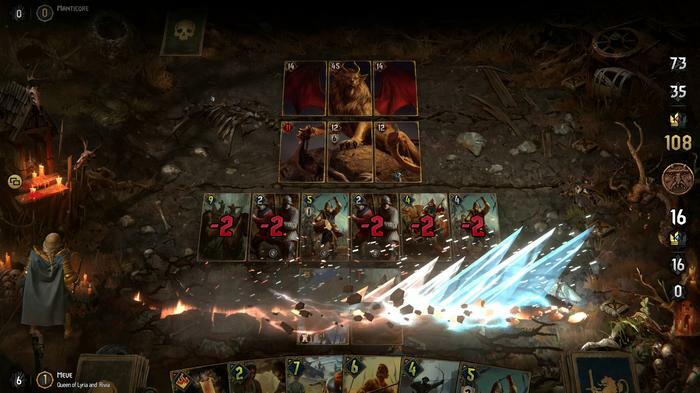 As with the standalone multiplayer Gwent card game, there are several major rule-changes that separate this version of Gwent from the one most players will remember from Wild Hunt. Where the original Gwent was played out across three rows with certain cards tied to each, battles in the new Gwent rules only fought across two rows and players are able to choose which row they want to play their cards in. While matches are still a best-of-three affair, players also now draw additional cards at the end of each round. There are other changes like new keywords, but those are probably the most consequential changes made to the formula. Nevertheless, these small changes do add up and carry with them a big impact on the flow and strategy of the game. It initially felt a little awry and unfamiliar but it didn’t take long for me to adapt and thrive within the new ruleset. Nevertheless, you’ll start the game at the height of your power with a fully assembled Gwent deck at your command. Without going to deep and spoiling any of the story’s better twists, things go wrong for Queen Meve pretty fast as she’s forced off her throne and on the run. 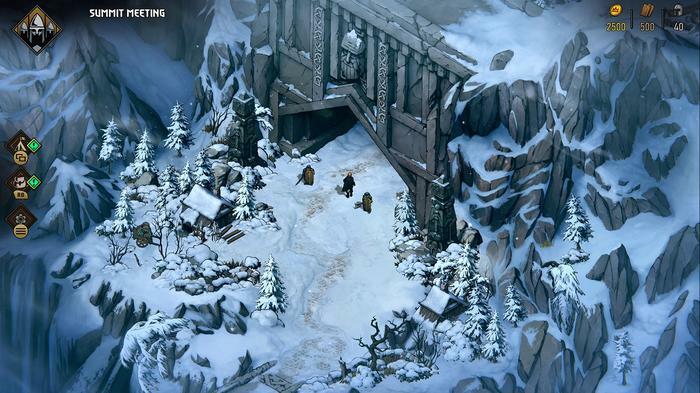 As Meve, you’ll traverse the various Northern Realms in search of allies. Win their loyalty and you’ll unlock new cards with which you can build back up your collection. Each of the game’s levels is a sprawling isometric level filled with traditional Gwent battles, less-traditional Gwent puzzles, choose-your-own-adventure-style decision-making vignettes and collectible resources. The latter is an important part of the metagame here. Resources you gather - either through winning battles, exploration or decision making - are used to craft new cards for your deck, upgrade existing ones and buy more-statistical improvements for your army such as increasing your card limit. Structurally, it reminds me a lot of how Blizzard of what Blizzard did with the single-player campaigns in Starcraft 2. Across that trilogy, Blizzard deconstructed, experimented and cleverly taught players the ins and outs of every mechanic in the multiplayer game. They were essentially long-form tutorials that prepared you for the multiplayer experience, and Thronebreaker is cut from the same cloth. 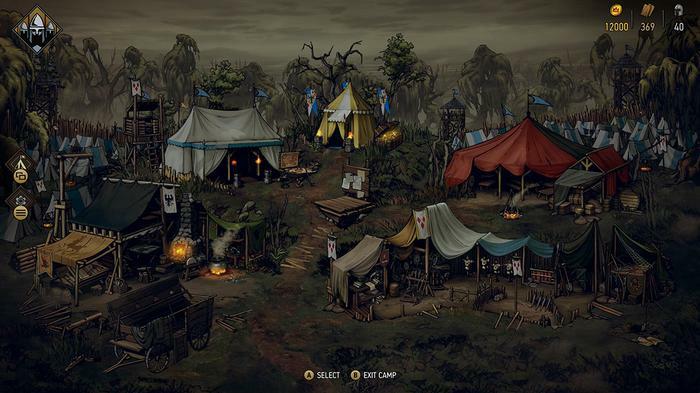 Again similar to Wings of Liberty, you can set up a camp and chat with your various companions. 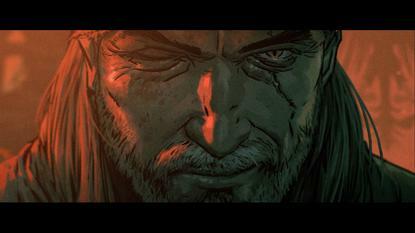 And like previous Witcher games, Thronebreaker - The Witcher Tales places a lot of emphasis on decision making. The decisions that you’ll make as Meve often have major repercussions on the makeup of your army. Make a call that certain characters disagree with, and they’ll leave you - taking any cards they brought to your deck with them. Though this was sometimes unexpected and frustrating to deal with, I really appreciated the sense of stakes and the weight of consequence here. It sometimes pushed me out of my comfort zone and forced me to to mess with cards, builds and strategies that I’d otherwise have ignored. The one criticism I’d leverage here is that due to the game’s focus on Meve, you only really spend any meaningful time messing with The Northern Realms cards - which only really account for ⅕ of the cards in Gwent proper. I’m hopeful that maybe CD Projekt Red will look at putting together similar campaigns based around the other factions later down the line - or better yet, porting Thronebreaker and Gwent to the Switch and mobile platforms. If you play any card-battler this year - make it this one. 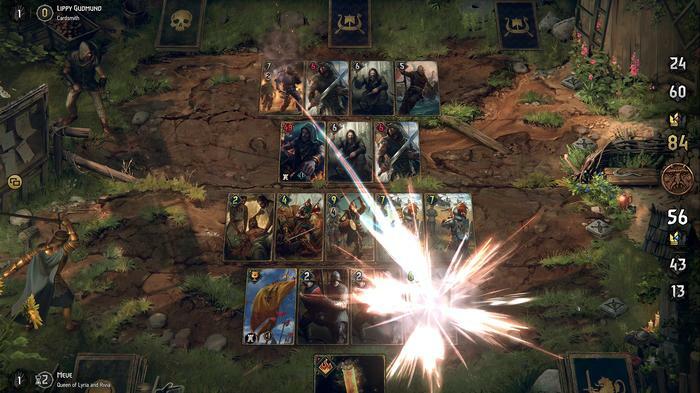 Sure, if you hated the Gwent sequences in Wild Hunt, Thronebreaker probably won’t turn you around on them. However, for everyone else, it provides a solid dose of single-player storytelling, strategy and fresh perspective on the world of The Witcher. 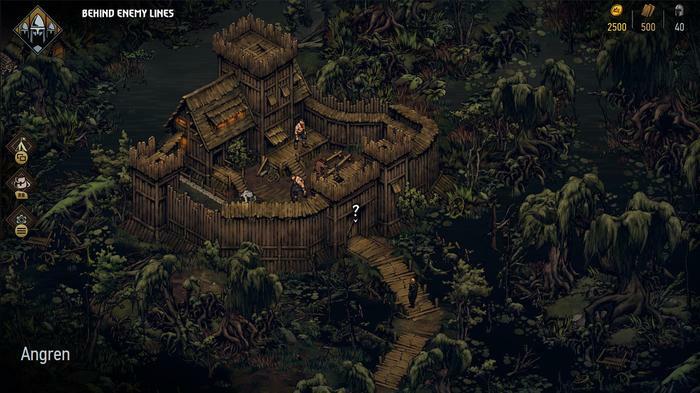 Thronebreaker - The Witcher Tales is an ambitious and fully-featured adventure that caters to an audience that other modern card battlers seem to have forgotten - and the results of that approach are well worth the low price of admission. 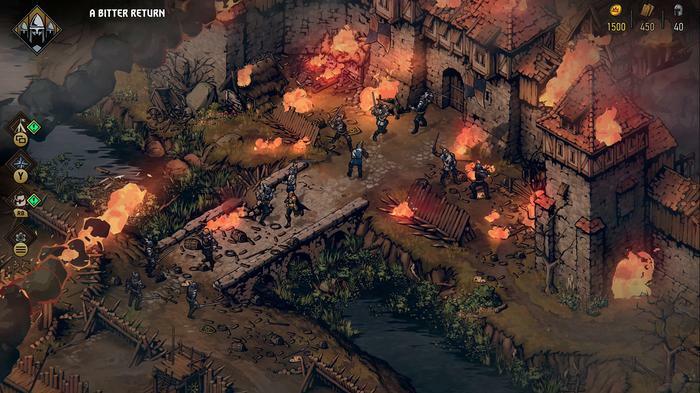 Thronebreaker - The Witcher Tales is available on PC, PS4 and Xbox One now.